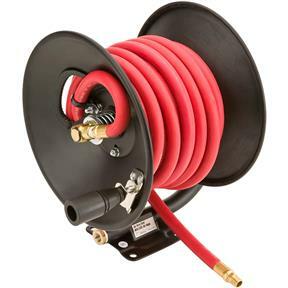 Mount this Hose Reel with 30' hose anywhere desired for kink-free hose pay-out and retrieval. If you've ever tried to unroll and roll air hose by hand, you'll know this Hose Reel is worth every penny. 1/4" NPT. This hose reel worked out well as with most Grizzly products I' ve purchased as well as the price was excellent too.A quality product.